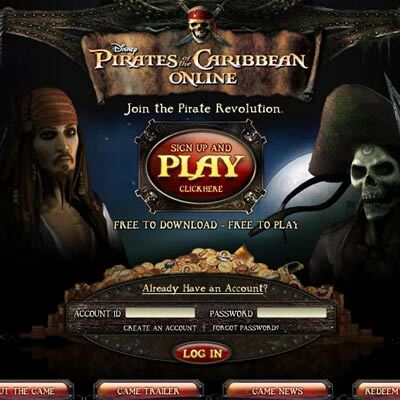 Pirates of the Caribbean Online, is the online game based on the popular movie series. 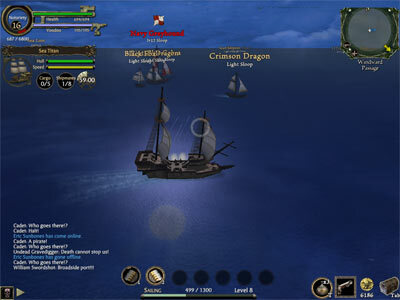 We speak of an online 3d Role Playing game where you take up the role of a pirate. When we speak of an online rpg everyone�s mind first goes to world of warcraft series. Truth is that the particular genre has been quite popular in the late years with dozens of games coming our way. Games like Guildwars, Lineage, Archlord, Dungeons and Dragons Online etc. But let's get back to our review. You start as a pirate, getting to customize him as you like. The options are many and classic so we won�t go more in depth here. The story starts in the prison of an island close to Port Royal (?) where you are along with Jack Sparrow. Jack will teach you how to get out of prison and together you will escape beyond the sounds of cannons hitting the whole place. After some more chatting with other npcs (computer characters) you start up in Port Royal as a novice pirate. The game includes the characters from the movie series who all take part in the big quest of the game. So you will get to also meet characters (besides Sparrow) like Will Turner, Elizabeth Swann, Hector Barbossa, etc. All of them will play a role in the big quest. The most enjoying part of the game is naval battles. You get to either sail your own ship and maneuver it around, firing the broad cannons against other ships or join the crew of some other player and take a hold of a cannon and shoot against other ships. Needless to say that success at the second occasion has to also do with how good your captain can navigate. The game can be downloaded for free (around 350mb) and played for free. If you play it for free, there are a lot of locked things while you cannot play it in full screen. If you choose to pay, first month is currently at $4 while the rest are at $10 each. Speaking of quests, the overall rating of them is interesting but could be better. They will keep you busy and they are indeed endless while their story can be fun at times. However, they end up irritating and bore at times where you will need to walk over a distance again and again just to deliver a message, or visit the same place again and again to kill the same enemies. Graphics are generally good but frame rate is not exactly good and at times it can drive you away of the game. It has a big difference if you play it windowed or full screen. Full screen is much better, but still slow frame rate is there. Sea water and sky seems to be the most interesting of all, where your screen is really pleasant. You use keyboard and mouse to navigate. You can use the cross on the keyboard or the arrows or the wasd keys to move while mouse takes care of shooting,firing and sweeping the camera and zoom. Ctrl button is also used for shooting and you will especially do this while firing at cannons where you need the top speed from the mouse for fast turning. All in all everything is very handy except as you got many alternatives for most of the moves you will need to do. What is disappointing is the amount of zoom in and zoom out which is pretty limited. 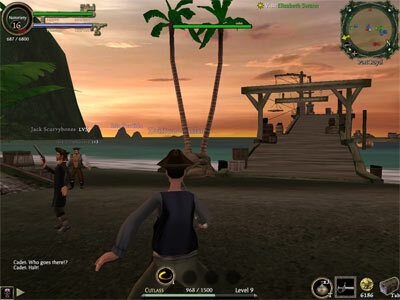 In the game, you are able to form gangs, chat with other players and join various crews. The game is relatively new and thus this part is not well advanced yet. Compared to other games of the same type, this part is still behind. Music is great. It has many tracks from the movie and in general it is the highlight of the game. Great work done in this department. Also the game sounds are good, although you may need to lower their volume a bit as they sound too high with the default configuration. All in all this is a good game to play and have fun with it. Professional Gamers though won't find it very pleasing and they are most likely going to leave it soon because of various yet-not-fixed bugs and slow frame rate unless they really like the story. So it deserves a peek, especially if you liked the movie a lot.